All eyes are on the NFL this week ahead of the Super Bowl. It's the ultimate game for any player. But for the women who play tackle football, playing professionally is still a dream. There isn't a professional league, but there are three 11-on-11 full-contact women's amateur leagues in the U.S. And the women's game has expanded significantly in the last two decades. Still the players would love the chance to ditch their day jobs and play full time. "We would all die to just train, recover in hyperbaric chambers like the guys do, come back and play," said Allyson Hamlin, a quarterback for the D.C. Divas. "But that's not realistic. So right now we are doing everything we possibly can to help grow this sport." 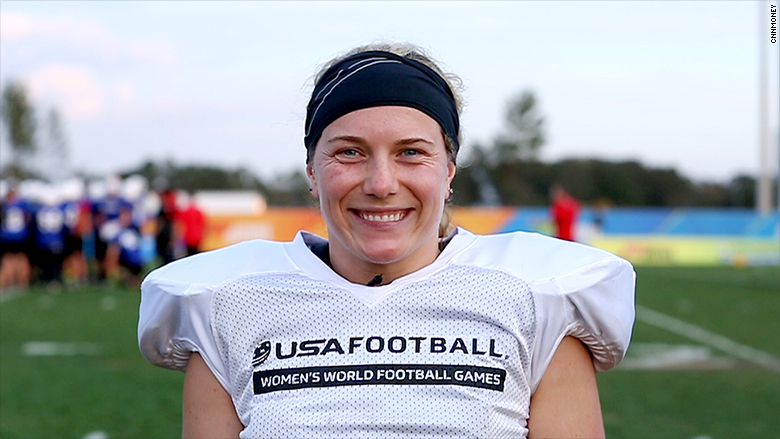 Hamlin is one of about 4,000 women who play tackle football in the U.S.
To be clear, this isn't powderpuff football and there is no lingerie -- it's the same exact version that's played in the NFL. Hamlin played tackle football as a kid. She's played in a women's league for 14 years and also coaches. "When I first started playing we would literally find a patch of grass," Hamlin said. "We would use our headlights for practice." 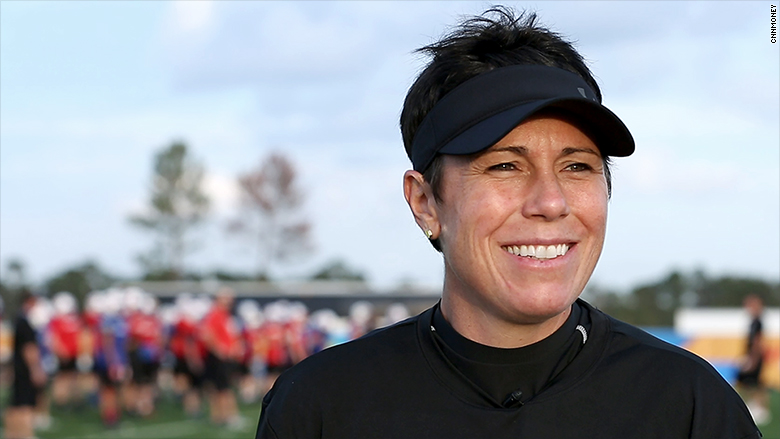 Allyson Hamlin, a homicide detective, has played tackle football since she was a kid. Now youth leagues have started popping up and more girls are participating in high school. 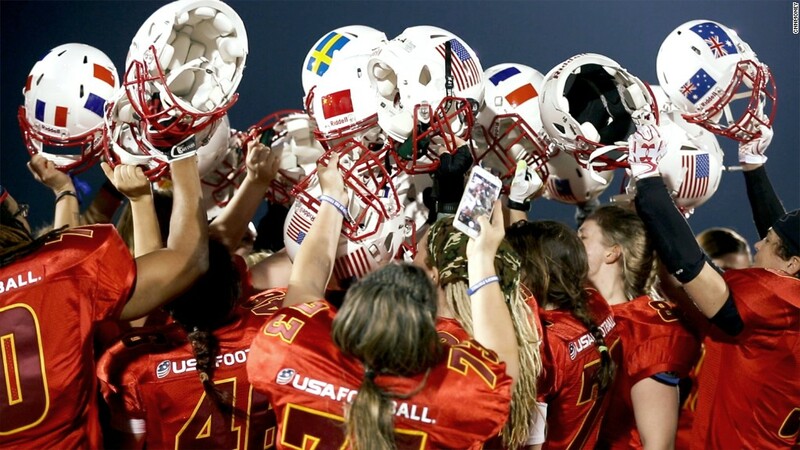 There's even an annual tournament that draws players from all over -- the Women's World Football Games. But the women can only practice and play in their spare time. "We all have day jobs," said Hamlin, a homicide detective for a police department in Maryland. Some of the women are physical therapists, others work in office jobs, but none of them make a living playing football. In fact, it actually costs them quite a bit of money to play -- tackle football isn't cheap. Playing in the Women's World Football Games alone costs at least $399. That doesn't include the expense of travel, meals or a place to stay. The local leagues cost even more to join. "Every year, it's close to a thousand dollars just for fees," said Laura Baden, a tight end for the Pittsburgh Passion. "You're not counting equipment. You're not counting accessories, medical bills, anything like that. So it's upwards of tens of thousands of dollars [over the years]." Laura Baden of the Pittsburgh Passion said she's spent tens of thousands of dollars playing tackle football. Players have to cover travel expenses to attend away games and pay to rent the fields they play on, which run about $200 an hour. And every player has to have insurance. The teams try to get sponsorships, no matter how small, and ticket sales also help with funding. Fans pay about $10 to $15 to watch games, but the women are still a novelty for many spectators. Phoebe Schecter, who plays in England, said she surprises even more people when she plays on the men's team. "I've been playing in games, and I'll get shouts like 'number 2 you look like a girl!' Well, I am a girl," Schecter said. Phoebe Schecter plays on both a women's and a men's team in England. The surprise is usually followed by positive reactions. "The best comment I ever had was, 'I would never know you were women until you took your helmet off,'" Hamlin said. "That tells me that we're playing the sport right. We're doing it right and we're building it." 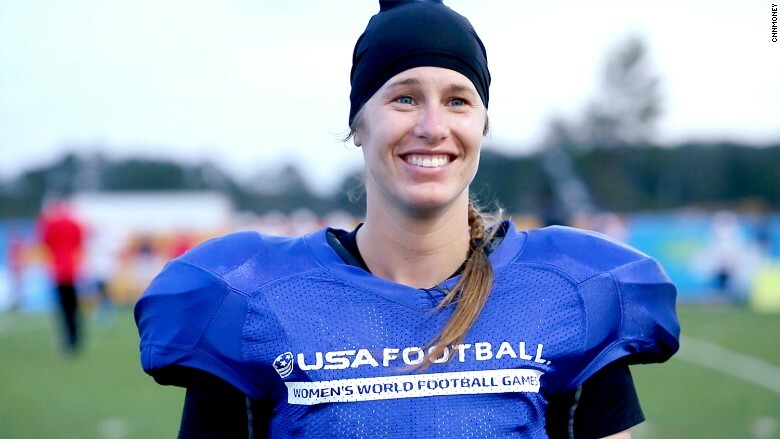 Baden said she hopes that as more women take up the sport, people will get used to seeing them play tackle football. "Women play ice hockey or they play rugby. It's basically the same thing," she said. "It's been such a male dominated sport for really no other reason than just because men only play it." For now, these women plan to keep playing -- no matter the cost.